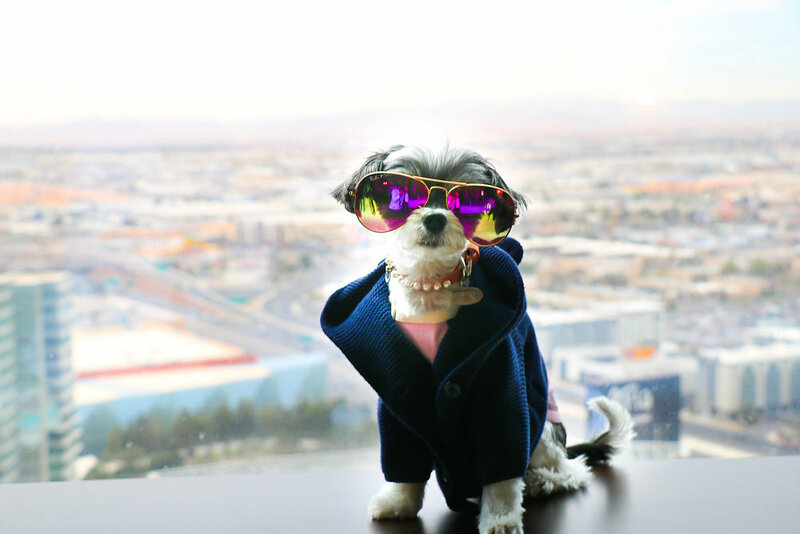 Las Vegas is the perfect destination for diva pooches like myself, or for any pooch for that matter who’s looking for an exciting new destination with their human. If your looking for somewhere to stay, Vdara is a great dog-friendly hotel choice. What makes the Vdara stand out from many of the other hotels located conveniently near the Las Vegas Strip, is the Vdara is a non-gaming, non-smoking, spa hotel. Located between the Aria and Bellagio, you have access to as much gambling/smoking/sins as you’d like. Returning to the Vdara feels extra special, almost like a retreat from the hustle and bustle. The lobby doors don't open to a cloud of smoke that will be stuck on your clothes until you do laundry and it isn’t crowded with people because, there is no casino. It feels like you’re returning home to a luxury rental apartment building that happens to have a classy bar with jazz music playing and the usually hotel perks; front desk, concierge, comfy couches, Starbucks, a quick service cafe, etcetera. Vdara takes their dog-friendly status so seriously, that they have designated Deluxe V-Dog Suites. Check out my suite tour below. 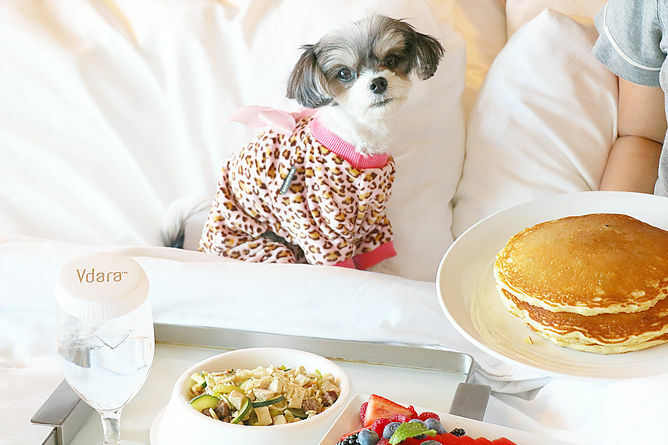 Each reservation includes dog amenities upon arrival, an in-suite dog dining menu and eco-friendly dog bowls. There are also Crates available upon request and a Pup-sitter on call. And you can’t forget the 24-hour dog park/walking path! Vdara welcomes dogs up to 70lbs OR two dogs with a combined weight of 70lbs for a $75.00 per night fee. enjoyed it, and found myself not begging my human for a piece of bacon or egg from her plate. The small size ($7) was a lot of food for my 5lb self. Human ended up saving the left overs in the fridge for later that night. 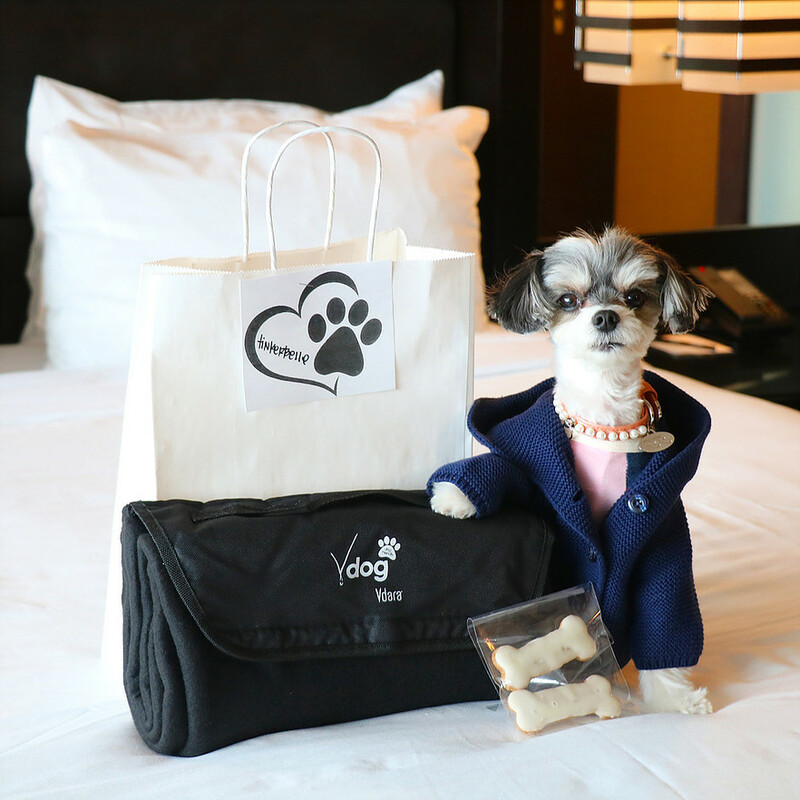 Overall, the VDARA is a great choice for a fun vacation in Las Vegas with your furry friend! I plan on returning in the near future for sure! 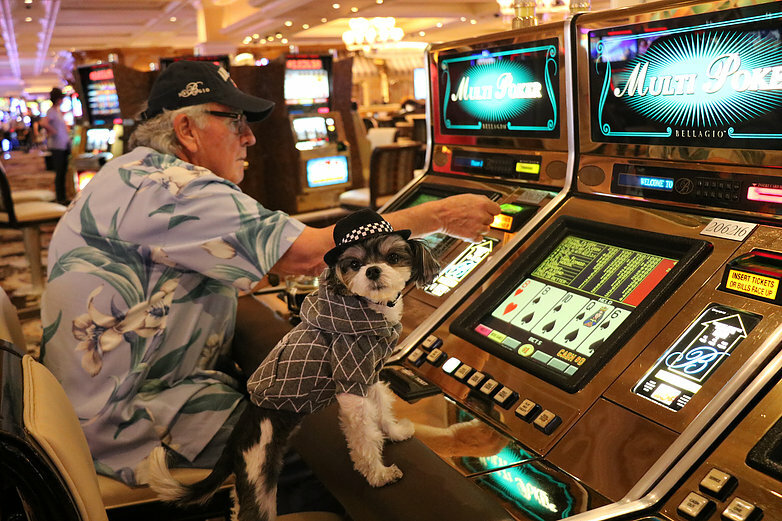 Casinos: My human frequented the casino at the Bellagio (Vdara’s sister hotel) and they were very dog friendly and welcoming. I made friends with many croupiers, dealers, and the waitresses would even bring me water while my human played the slot machines! 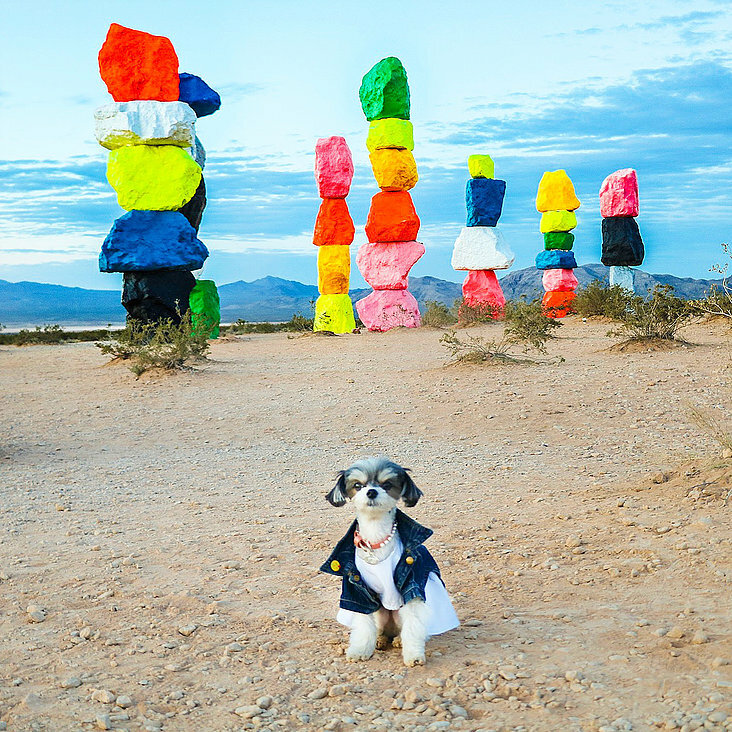 Seven Magic Mountains: This is an insta-worthy outdoor art exhibit about 25 minutes away from the strip. I insisted human bring me right before sunrise, so I would have the mountains all to myself. Dogs are welcome there, just beware of snakes. And hurry because it might not be there much longer!!! Outdoor Dining: Anywhere with outdoor dining was extremely welcoming to my diva foodie vibes and the weather is so beautiful in Vegas most of the time, why wouldn’t you want to eat outdoors? Las Vegas Sign: Another instal-worthy stop, right on the strip! Dogs are more than welcome. Try to hit this early in the morning as well to avoid a long line/crowds!